Trident University is the first fully online university regionally accredited by the Western Association of Schools and Colleges (WASC) Senior College & University Commission. 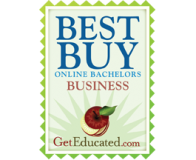 Earn an exceptional degree entirely online. Trident University is the first fully online university regionally accredited by the Western Association of Schools and Colleges (WASC) Senior College & University Commission. Regional Accreditation is recognized by many in higher education as the gold standard that validates the challenging and rewarding academics that make the Trident Learning Model so uniquely effective. The first 100% online university accredited by WASC. Over 80% of our faculty hold doctoral degrees. A network of distinguished leaders with over 22,000 military alumni.